It was time to destroy a hard drive but instead of venting my frustration with Microsoft using a sledge hammer or giant magnet, I decided a more civil approach of deliberate dismemberment would be prudent. 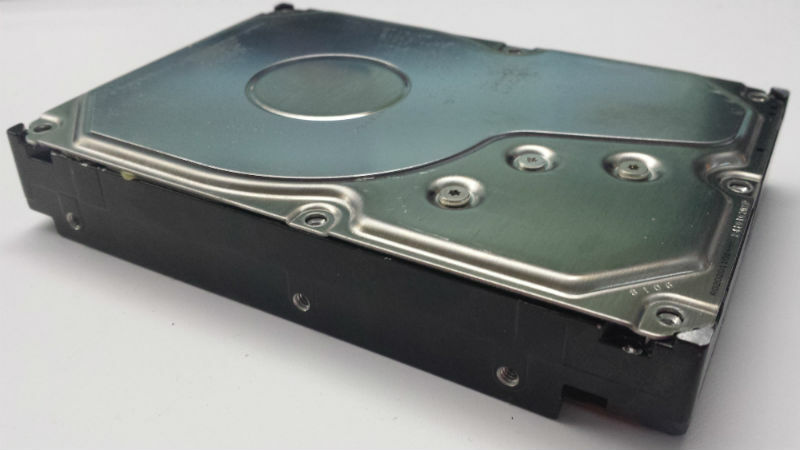 I know everyone is talking about Solid State Drives these days, but I still find the original hard disk drive absolutely captivating. 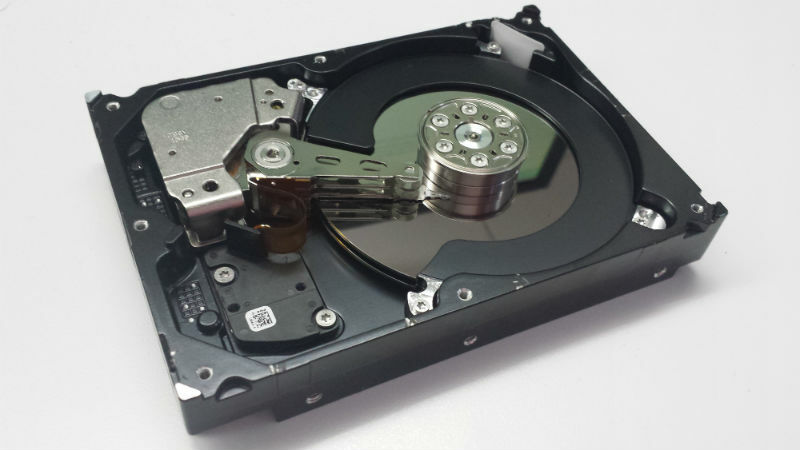 The first hard drive was invented in 1954 by Rey Johnson while he was at IBM. 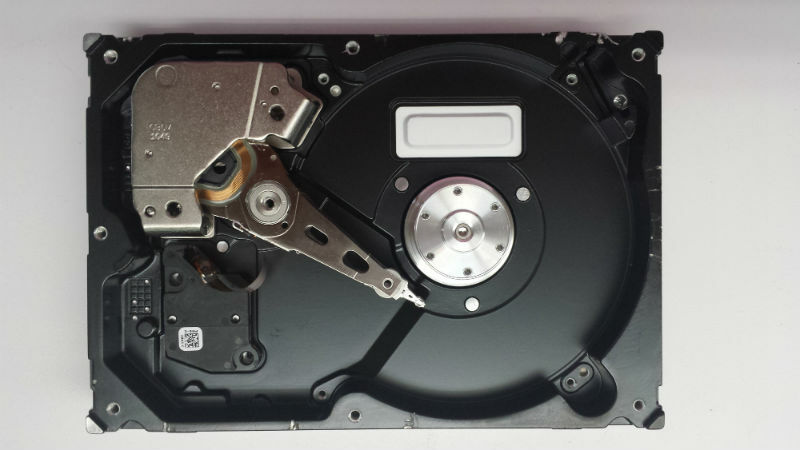 Many people regard Johnson as the “father” of the disk drive. He was arguably one of the most prolific inventors of his era and when he retired from IBM in 1971, he already had 90 patents to his name. He was a pretty smart guy and because of his innovative mind and lucid thinking, millions around the world are benefitting from his archetypical hard drive. 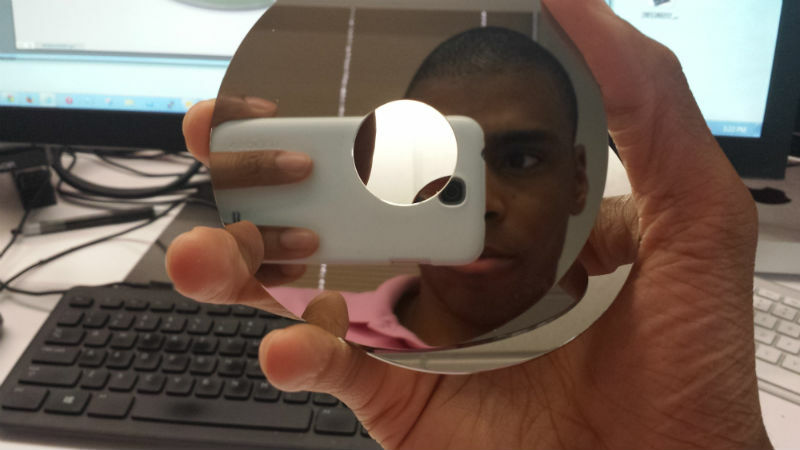 All hard disks share the same characteristics. In the graphic below you can see the metallic actuator arm reaches over two 500MB polished platters. The actuator arm pivots on an axis housed in the upper left corner of my drive. The platters are usually made of glass or high-precision aluminum and are powered by a motor that spins the platters at a blazing fast 7,200 revolutions per minute. The actuator arm has read/write heads that hover only 3 nanometers above the platter surface. As the platter spins, the arm darts the read/write heads around the platter at an extremely fast rate. How fast? 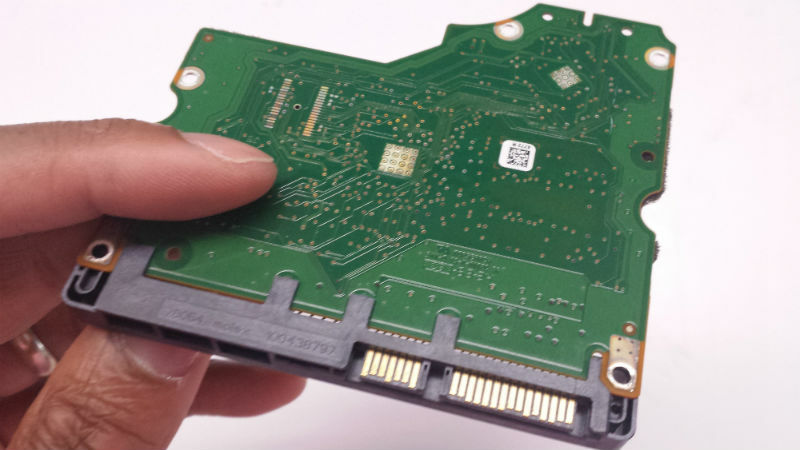 Well, most hard drives have actuator arms that move from the platter center (known as the hub) to the edge and then back to the hub at up to 50 times per second. The amazing thing is that the arm is both lightning fast and precise – and it has to be if you think about how data storage works. All your movies, music and photos are stored on the surface of the platter in what’s known as sectors and tracks. You can think of one track as a thin, circle on the platter that shares the same center as the platter itself. In other words, hard disk tracks are just concentric circles of various diameters; it’s kind of like the grooves in your grandfathers old vinyl collection except the tracks on hard disk platters are virtually infinitesimal and therefore invisible to the naked eye. Each platter is divided into equidistant “pizza” slices. Where a single “slice” meets a concentric circle you have a sector. Each sector has a set number of bytes and can be collected into what’s known as clusters. The purple color fill represents one sector on the platter. In this graphic, there are only 60 sectors; however, since most sectors are 4,096 bytes (4 kB), you probably have millions of sectors on your hard drive. The image below is what a cluster looks like. There are also called allocation units; it’s basically a contiguous group of sectors and is the smallest logical unit that can be assigned disk space. All the brains are contained in the circuit board and everything else is just a super precise actuator arm with shiny platters. I love taking stuff apart. Usually after it is dead, like that drive. We just bought 1 TH Toshiba. In my old days I replaced individual components. I even worked on vacuum tube radios and amps.